Accra, Oct. 27, GNA - Mr Dan Lartey, leader of the Great Consolidated Popular Party (GCPP), on Wednesday said his Party would ensure that the Grand Coalition accepted its proposal for a 400 per cent increase in workers' salaries if the Coalition won the December election. "Even though this is a major statement in the GCPP manifesto, it is realistic and workable enough to be considered and implemented by the Grand Coalition when they come to power," said Mr Lartey, who is the Chairman of the Grand Coalition made up of the GCPP, Every Ghanaian Living Everywhere (EGLE) and People's National Convention (PNC). 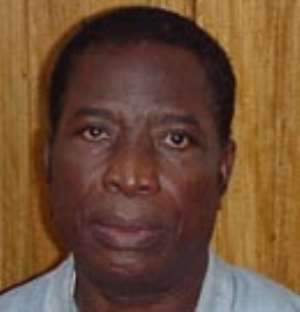 Speaking in an interview with the GNA, Mr Lartey said the GCCP would structure a budget that would check the rising inflation and keep it at an appreciable rate. "The issue of more money chasing fewer goods will be non-existent because the industries are there, the rubber plantations are there, the sugar plantations together with all the defunct industries would be resuscitated to meet supply," said Mr Lartey, who has put his hopes on Ghana's development on his philosophy of "domestication". According to Mr Lartey for years the Breton Wood Institutions had prescribed unrealistic solutions, which had only made Africa and for that matter Ghana, poorer adding that these prescriptions had led to the sale of most of the State's strategic properties. "When the Grand Coalition gets the mandate, these properties would be bought back for the State." On the Highly Indebted Poor Countries (HIPC) initiative, he said, even though, the Government claimed that it had been beneficial, the average Ghanaian had nothing to show for it. He said he returned to the Grand Coalition, after complaining that he was swerved during an election to choose the Presidential Candidate of the Grand Coalition, for the sake of peace. Mr Lartey said the Government had a responsibility to ensure that there was security at all times and during the December elections.